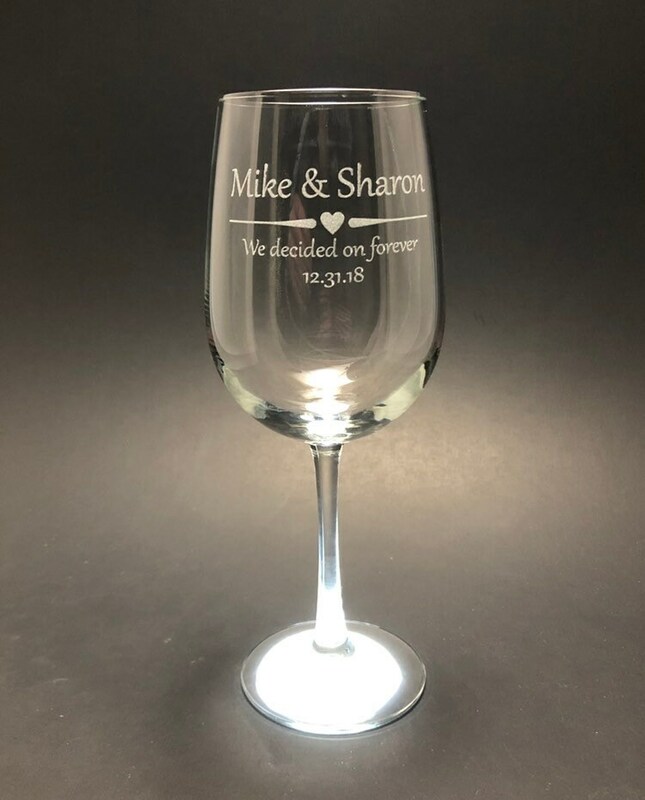 This is a set of 2 customizable 18.5 oz stemmed wine glasses you can personalize with names and a date. This design is perfect for many different occasions. A wedding, engagement or an anniversary. 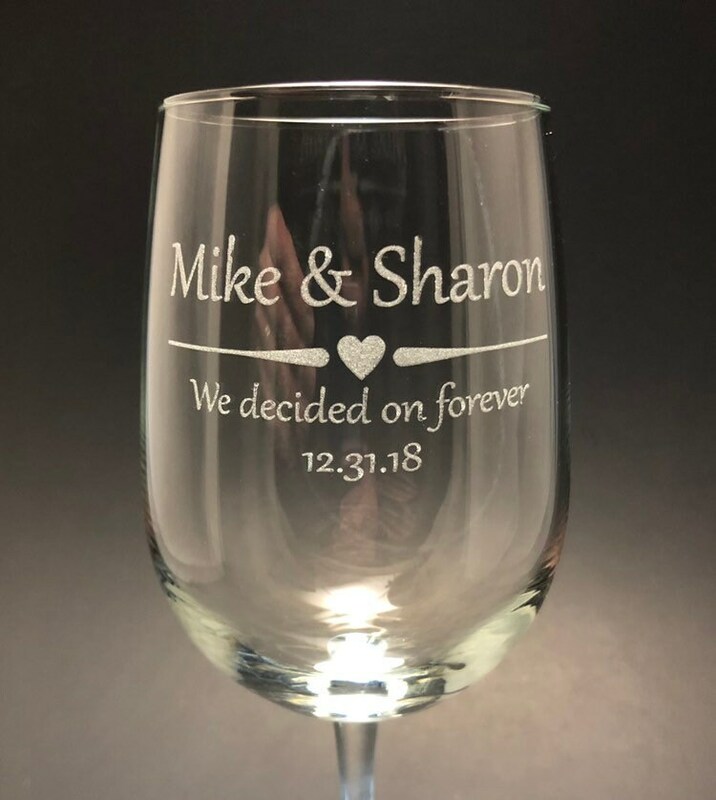 This glass come with two names, the heart divider, the text as shown "We decided on forever" and a date. Enter your names and date in the personalize section. 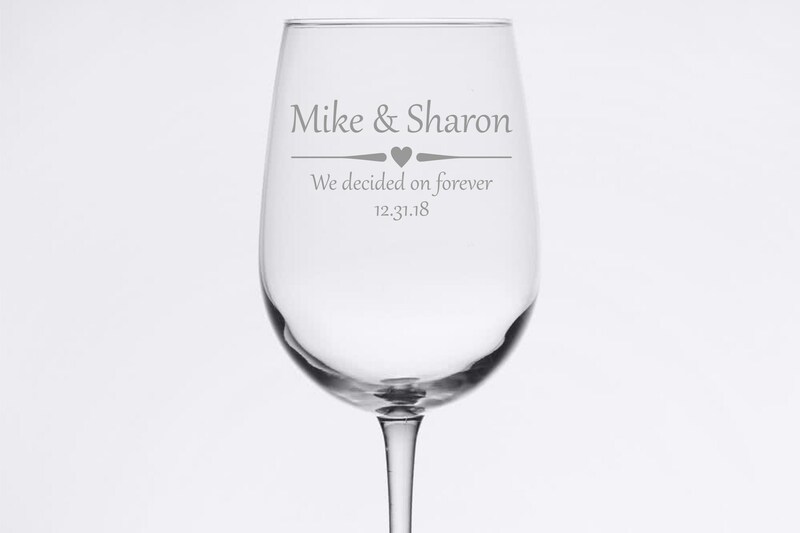 I will email you a mockup of what your glass will look like. Once you approve it, I will make it and ship it. Please allow around a week to complete to ship. * 18.5oz volume. A perfect size for less trips on wine refills! -We do everything we can to ensure they arrive safely and in one piece. Each glass is securely wrapped in bubble wrapped. If you do have a problem with the condition when they arrive, please let us know right away and we'll take care of it!